Though I knew I would be spending most of my sightseeing time in Dili on my visit to East Timor in May, 2015, I chose to stay at the Tibar Beach Retreat, which is actually about 15 minutes outside of the city. It was the best decision I could have made. 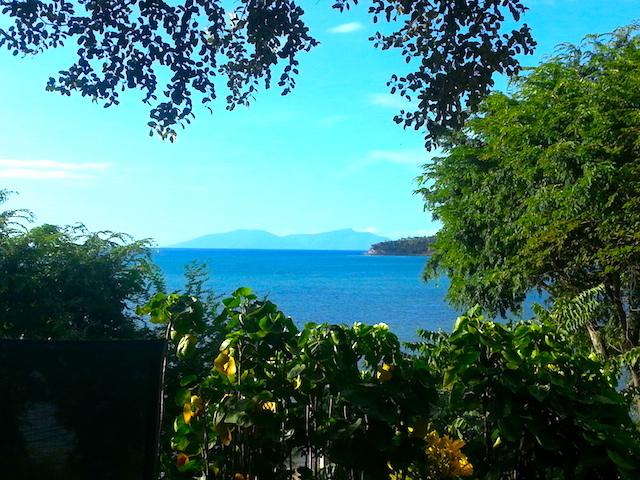 Location: About 15 minutes west of Dili on the coastal road. Reservation & Check-in: I reserved via the hotel's own website. 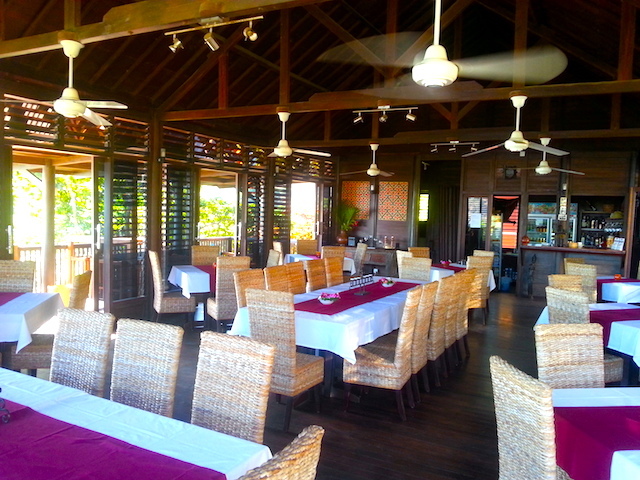 The hotel is owned by a Timorese couple who lived for many years in Australia. The female half of the couple, Alice, handled the booking correspondence via email, which included arranging my pick up and transfer to the hotel from Nicolau Lobato Airport. In the event, Alice herself picked me up at the appointed time in one of the hotel's 2 SUVs. Disarmingly, one of the first things she said to me was, "Are you sure you want to stay so far out of town?" I was and I was glad I did! 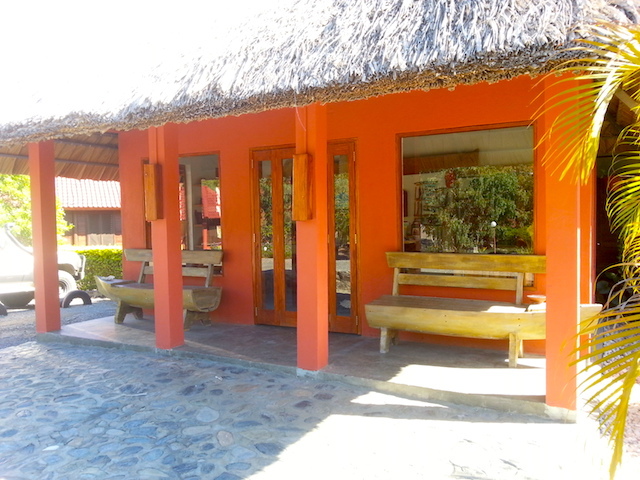 Building: In fact, the hotel -- more of a resort, really -- consists of a group of buildings: 8 bungalows, a reception/gift shop cottage, the Ximangane Restaurant, and the owners' own house, plus a few private bungalows for their family and personal guests. The bungalows are all made of wood, presumably local. 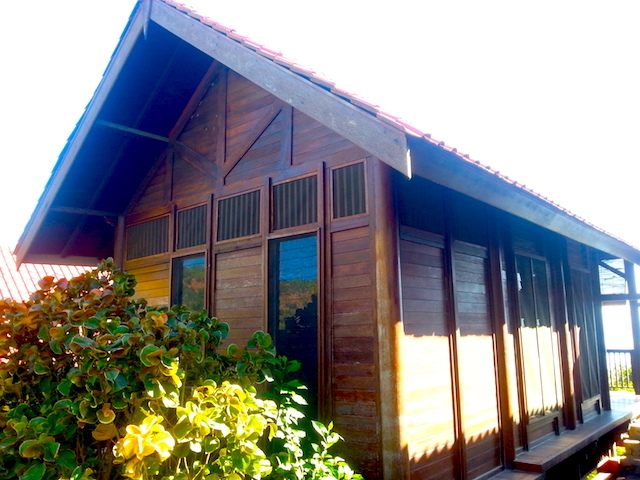 Bungalow: Each air-conditioned bungalow is named after a different district of East Timor. Mine was called Ermera. It consisted of a spacious bedroom, a well-designed bathroom, and an ample verandah with a stunning view of Tibar Bay and a large daybed to enjoy it from. 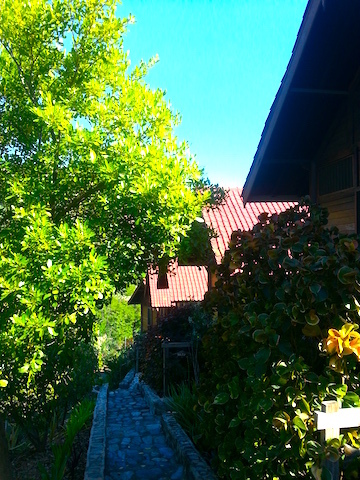 The bungalows descend from the parking area along a stone path down the slope of the hill on which the resort sits. Ermera, if memory serves, is the second bungalow from the top. 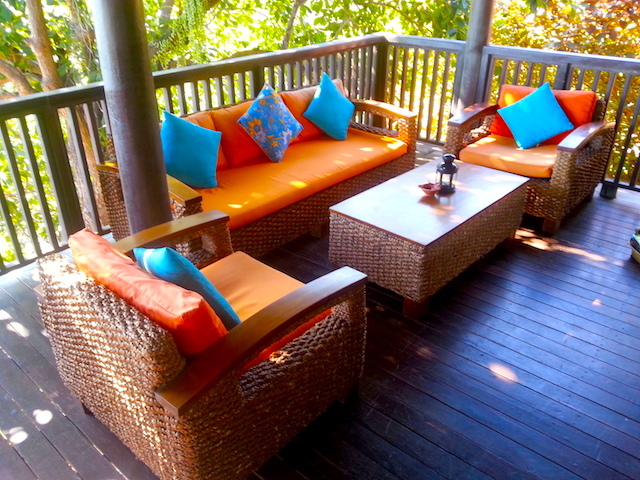 The bungalow was decorated with Timorese furniture and fabrics. 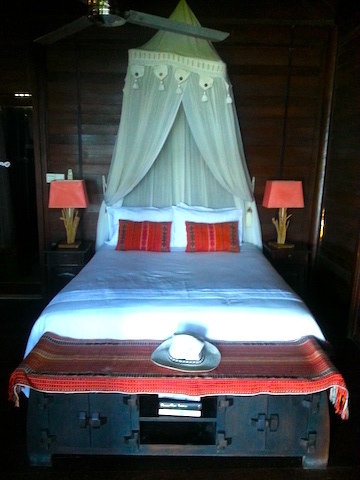 I especially liked the canopy over the bed. There was a small fridge and a TV, as well as tea/coffee making equipment. The bathroom had lots of natural light, and the water pressure was excellent. It was meticulously cleaned every time I went out. In 2015, I paid 80USD per night including breakfast. Looking at the website now, I see that the price is still the same! 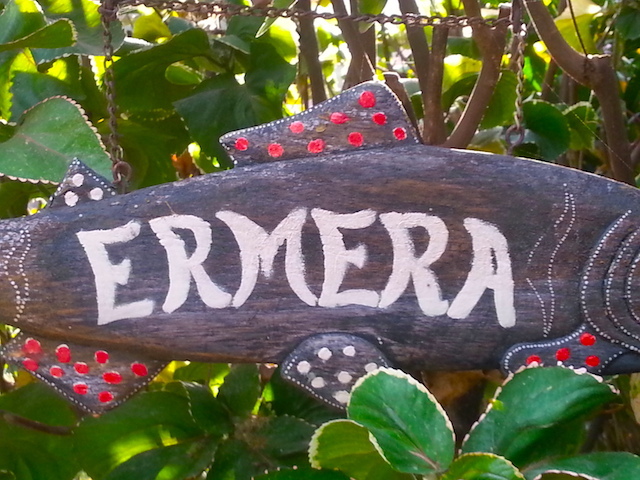 Facilities: There is a gift shop with a selection of very high quality Timorese crafts. Alice is very knowledgeable about traditional weaving and tais, and has a great eye. The main facility onsite is the Ximangane restaurant and bar, which attracts expats and well-heeled locals from the capital. 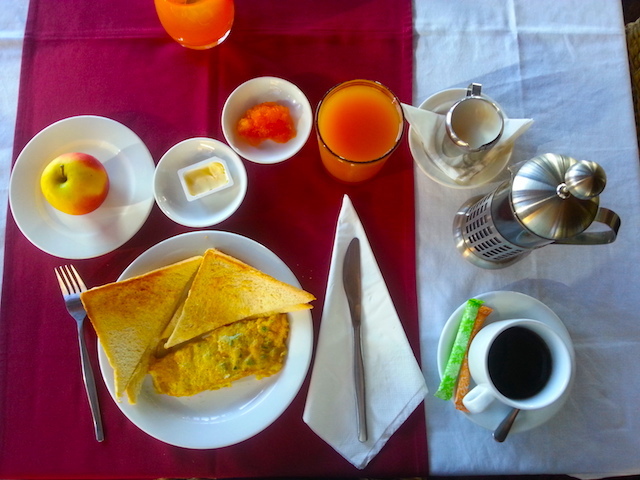 Food & Beverage: I didn't eat in the restaurant except at breakfast. The breakfast was very, very good. I appreciated that freshly squeezed juice of a different fruit was provided every day. Timor is a coffee-growing country, so the coffee was local. I can report that on the Friday evening, the parking lot was full of cars and the restaurant and bar were jumping. Service: I thought the service was uniformly excellent. All the staff I encountered were capable, polite, and friendly. It's owners Alice and Rui who really make the hospitality of the place. I happened to arrive on the staff's night off, so Alice invited me to eat with her family in their house. She was apologetic about it, but the opportunity to chat with the family and have good Portuguese bread and cheese, and fresh veggies from the garden, all washed down with Portuguese wine --impossible to find elsewhere in Asia, but readily available in Dili -- was far more interesting than sitting by myself in the restaurant would have been. Alice also gave me a lift into Dili every day, and even accompanied me to the Tais Market and helped me bargain for some good pieces. Alice's husband Rui personally drove me to Maubara to see the 18C Dutch fort, and on another day took me to Cristo Rei beach. Location: For me, the location outside of Dili was no hindrance. It's not like Dili has an exciting nightlife, after all. 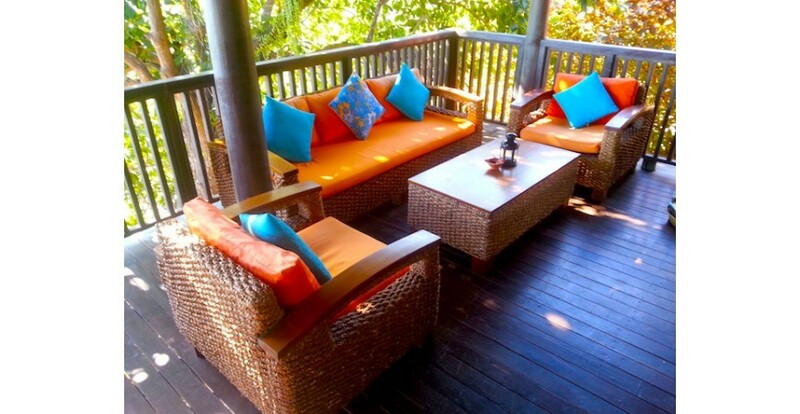 The Tibar Beach Retreat's hilltop location overlooking Tibar Bay is very scenic. In 2015, there was only a dirt road running along the foot of the hill, but a recent photo I saw indicates that there is now a paved highway -- thus making access to Dili even easier. 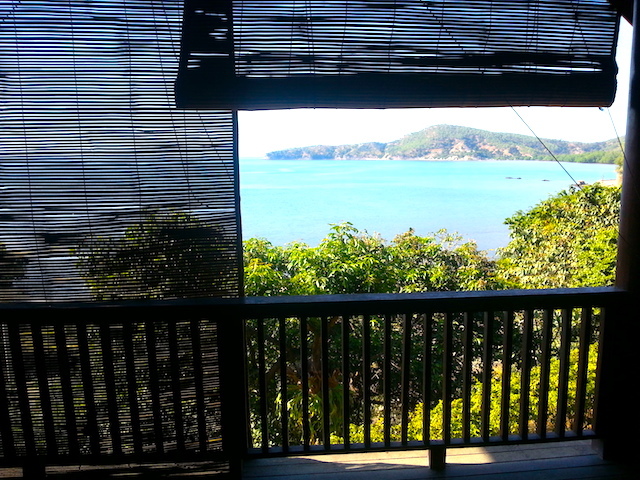 Recommendation: You should absolutely stay here for at least a few nights no matter where you are going in East Timor. If you have any questions, please feel free to post them below, on the Lotus & Persimmon Facebook page, or under a relevant image in our gallery on Instagram. Tais are the distinctive traditional textile of East Timor/Timor Leste. Read on to learn more. L&P visits the ruins of a Portuguese colonial prison on the north coast of East Timor/Timor Leste. L&P examines a rare book about Indonesia and Portuguese Timor, now East Timor. 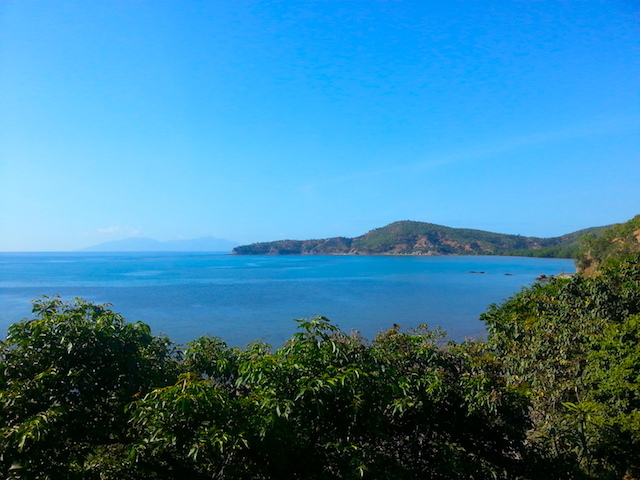 L&P takes you to Maubara on East Timor's north coast to visit an 18C Dutch fort and an old Portuguese villa. Take a photo tour of Dili, East Timor's sleepy capital, with L&P. 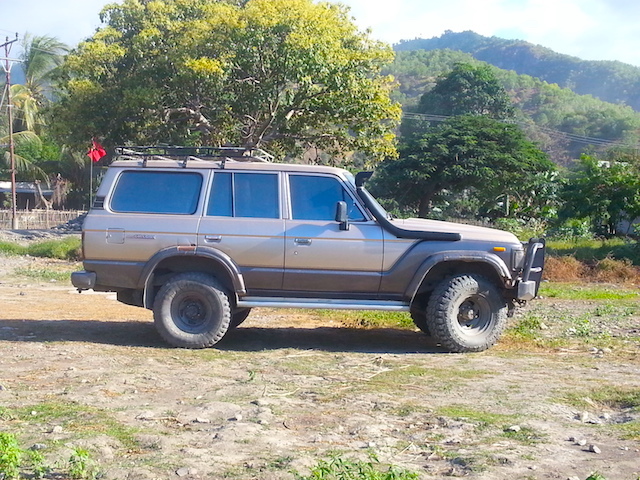 L&P recounts a visit to East Timor/Timor Leste, formerly the most remote outpost of the Portuguese empire.